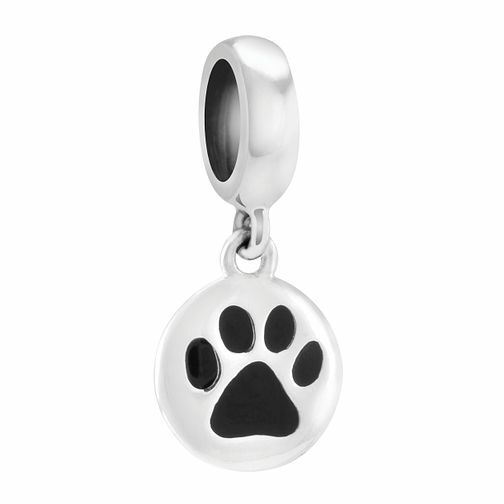 The perfect pet lover's accessory, this cute petite paw charm charm is crafted in sterling silver and jet enamel. Discover all the ways to express yourself with one of a kind jewellery that reflects your life and experience. Inspired by your personal sense of style, Chamilia jewellery is as unique as you are. Chamilia Petite Pet Paw Charm with Enamel is rated 4.4 out of 5 by 5. Rated 4 out of 5 by Anonymous from Sweet little charm. Perfect for pet lovers. Hangs nicely inbetween other charms. Rated 5 out of 5 by Anonymous from Product looks solid Nice product. Good finish all around and good design.